Taking good care of our body is the secret of long term well-being. And for athletes involved in high intensity activities, a balanced nutrition is critical to support that. Paleo diets with their focus on high protein and fat and low cards immensely popular. However athletes need to be careful, as it may not suit their training needs. 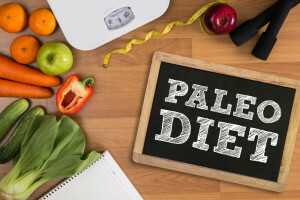 The Paleo diet is based off the research of Loren Cordain, Ph.D. around paleolithic (old stone age) nutrition. At that time humans mostly ate vegetables, fruits, and lean animal protein, and very few grains and dairy products. As such the Paleo diet emphasizes the former and encourages people to reduce their intake of the latter. Protein intake for athletes is very important because it has a pivotal role in building muscle. Protein has all those vital nutrients and vitamins which are crucial for growth. However, because serious athletes are placing demands on the body that weren’t normal in stone age times, you need to adapt the rules. Perth Chiropractor, Dr. Adam Rocchi recommends you take extra carbohydrates around intense exercise periods. The protein intake for professional elites depends on their weight and energy requirements. The ideal range is different for different people. Dr. Rocchi generally recommends 1.2 – 2.2 grams of protein per kilogram of body weight per day. Below is a detailed list highlighting the protein requirement as per body weight. For a person weighing 55kgs, the recommended protein intake is 66 – 120 grams per day. So, if we consider Skinless breast of chicken as a source of protein, then one whole breast should be consumed along with the regular meal or diet. For a person weighing 64 kgs, the recommended protein intake is 75 – 140 grams per day. So, in this case, if again Skinless breast of chicken is taken as a source of protein then at least 1 ½ breasts must be taken in the diet. Now, moving on to higher weight people, if someone is around 91 kgs then they must take 110 – 200 grams of protein per day. Skinless breast of chicken is just taken as an example. If you’d like advice on this or other aspects of improving performance call to (08) 61508785 Scarborough or (08) 61508783 Mount Pleasant to arrange an appointment.